The expansion of mining and tourism in occupied Tibet goes on unsanctioned—leaving no choice but self-immolation for the Tibetans resisting. Tempa Gyaltsen Zamlha in his office. Photo by Daniela Del Bene. “The number of Tibetans setting themselves ablaze is increasing at an alarming rate. […] In addition to several political, social, religious and economic factors, the impact of mining and environmental pollution has been one of the major causes that drive fiery protests across Tibet.” An article from 2013 by the Research Office of the Environment and Development Desk of the Tibetan Administration in Dharamsala makes in this way the connection between self-immolations and environmental distress in Tibet. “On Tuesday 20.11.12 a Tibetan in his mid-’30s […] walked up the hill to the entrance of gold mining site in Gyagar Thang, poured kerosene over his body and set himself on fire.” According to the Tibetan Centre for Human Rights and Democracy, based in Dharamsala, this young man wanted to denounce the hardship of local communities affected by mining operation of the Chinese companies. As in many other countries, pain caused by the deterioration of the local ecologies and the disruption of traditional ways of life leads to resistances and constructive struggles but also to extreme acts of dissent and frustration. Moreover, China’s occupation of Tibet since the 1950s opened the door to systematic exploitation of Tibet’s rich minerals (copper, gold, chromite, aluminium, iron ore, boron, lead, zinc, lithium), but also crude oil, potassium, asbestos, natural gas and coal. Pollution of water bodies and additional impacts on the territories due to hydropower stations to provide energy to the mines are aggravating living conditions. Railways and roads made access to local cultural sites and natural amenities much easier and tourism is bringing along severe cultural and environmental impacts. Also, to facilitate extraction of natural resources and to control their movements and use of resources, Chinese authorities are forcing Tibetan nomads to settle down in ad hoc built villages where they are losing their traditional practices and therefore part of their culture. In December 2014 in Dharamsala, I discussed these issues with Tempa Gyaltsen Zamlha, Environment Research Fellow at the Tibet Policy Institute. Here is a short version of our interview, the full text is available here. 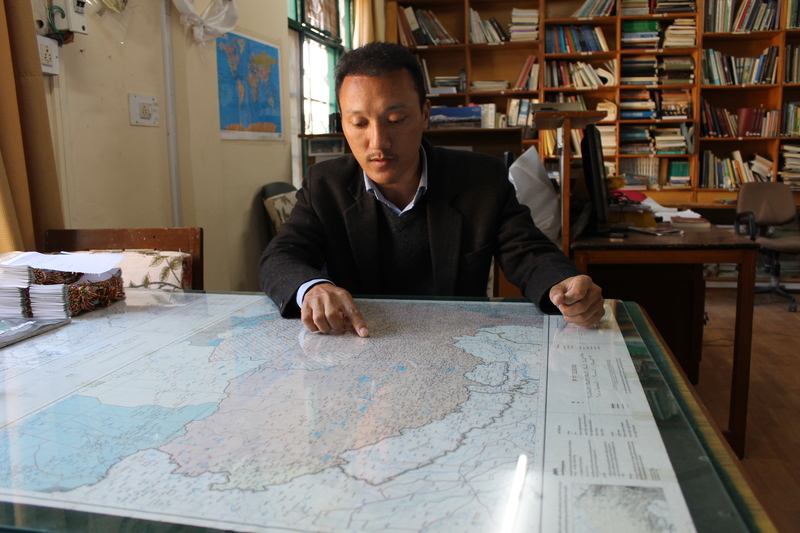 Please also read about Gyama mine conflict in the EJatlas, the first case we cover in Tibet. Can you please introduce your work at the Environment and Development Desk and describe the major environmental challenges you are facing now in Tibet? The Environment and Development Desk has been set up under the Tibetan Policy Institute; we monitor current environmental situation in Tibet, research on the impact of climate change and damage caused by human factors, and then we try to disseminate an unbiased and true information about the global significance of the Tibetan Plateau and its current state of environment to the international community and governments. For Tibetans, environment issue is one of the most urgent tasks. His Holiness (the Dalai Lama) once said that political issue could wait but not environment. Since Tibetan plateau is very fragile, any major damage to its ecological state would be very difficult to restore. As Tibetans, we have a very intimate relation to nature because we believe there is presence of God everywhere, on the mountains, in the rivers, so we try to minimize the impacts as much as possible. Things have changed ever since Chinese occupation of Tibet in 1950s. 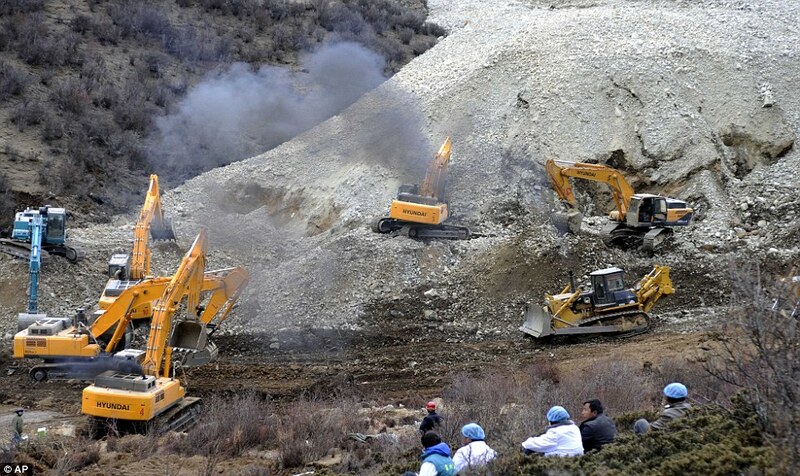 Intentionally or unintentionally, there have been lots of environmental damages in the Tibetan areas under Chinese rule. China has already built railway lines, which makes mining much easier, cheaper and profitable. Then, they have constructed many hydropower stations that are indispensable for mining. Often, investors in these mining companies are central and provincial government officials. So every time local communities resist, they are first asked to just go away; if they insist, the companies try to convince that it’s meant for community’s development; if they still meet opposition, they try to divide the community and bribe members; lastly, they just deploy police forces to brutally repress resistance (by tear gas, rubber bullets, or opening fire). We managed to document at least 20 big protests against mining since 2009, although there could be many more. Such news will never come up in the Chinese media, so locals have no option but to send such information out to the world at great risk. So it’s very important for us to make this information known to the outside world and the Chinese government, the world has a responsibility to act. Local governments and mining companies always operate in collaboration and are far too powerful actors. What does mining entail for Tibetan people living in that area? What kind of resettlement policies is put in place? To accelerate mining in Tibetan areas Tibetan nomads have to be removed from such areas; Chinese government introduced policies to completely resettle Tibetan nomads into poorly planned concentrated village, so that mining companies could have a free hand in the vast resource rich grassland at the cost of Tibetan nomads. So, we can say it’s another type of displacement, not from a precise spot to which you have official entitlement but from a whole area and way of life. But it’s not only mining; tourism in Tibet is expanding fast but is concentrated in a few areas during a very short summer season, with massive numbers. Recently, China has built routes for tourists to visit sacred lakes and important environmental sites; such action would hurt both people and the land. But this kind of tourism creates very little wealth and job for the local Tibetans; most of the tourists in Tibet are Chinese. They mostly book travel packages through a Chinese Travel Agencies who books Chinese hotels to stay, a Chinese driver for local travel and a Chinese guide, and mostly eat in a Chinese restaurant. Your work in documenting socio-environmental resistances in Tibet is quite unique. Can you recall any interesting case you learnt about and their outcomes? The most known case is probably a copper mine closed to Lhasa, called Gyama (in Chinese, Jiama) Copper Gold Polymetallic Mine, in an area rich in copper, zinc, lead, lithium. The mine was once declared as a model mine by the Chinese government. How ironic that the Tibetan communities around it have been protesting for over 5 years now as the mine brought disruption to the nomadic life on the mountains in that valley. It also caused river water pollution. Most notably the massive mine induced landslides in 2013 that killed more than 80 workers in the same mine. Though the Chinese government claims that the landslide was due to natural factors and not caused by the Gyama mine, we at the Environment Desk have strong evidence to prove that the 2013 landslide was caused by mismanagement of the mine. Further details, stories and anecdotes are included in the full interview. Around two million cubic metres of mud and rocks swept through the mine in Gyama, Tibet, in 2013. Source: dailymail.co.uk. *Shielding the Mountains documentary movie, directed by Kunga Lama. Produced by Emily Yeh. *Jampel Dell’Angelo, The sedentarization of Tibetan nomads: conservation or coercion?, p. 309-332 in H. Healy et al, Ecological Economics from the Ground Up, Routledge, London, 2012. *Leah Temper, Daniela del Bene and Joan Martinez-Alier. 2015. Mapping the frontiers and front lines of global environmental justice: the EJAtlas. Journal of Political Ecology. *Daniela Del Bene is currently a PhD candidate in Environmental Sciences at ICTA-UAB. Her main research topics are conflicts related to water resources and river basin management, dams and hydropower, and social movements. Her work is carried out mostly in Southern Asia (Indian Himalayas), Europe (Alps) and Latin America. She currently works in the EJOLT project and on the global map of environmental conflicts and resistance. This article was first published on the EJOLT blog.